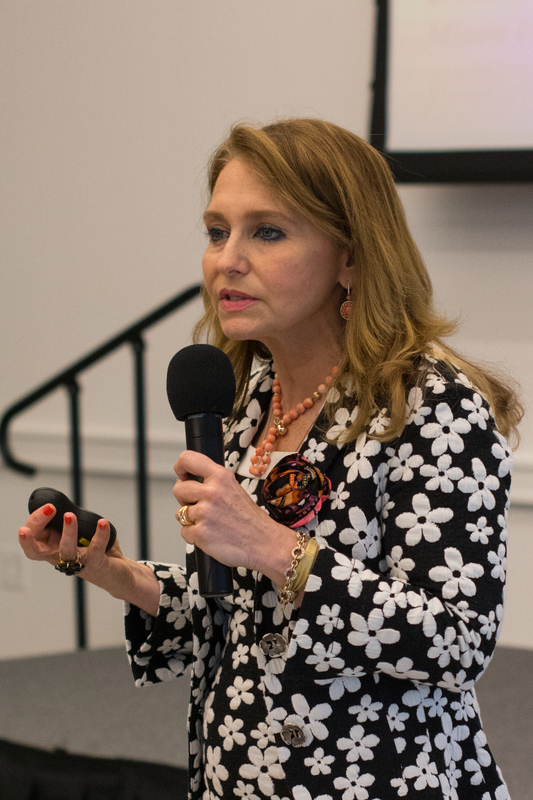 University of Miami’s First Lady Felicia Knaul delivered a speech at the Women’s and Gender Studies inaugural lunch colloquium in the Donna E. Shalala Student Center (SC) on Friday, Sept. 26. Knaul spoke to fellows, professors and other members of academia about her research on global health and breast cancer in low and middle-income countries. “It isn’t about just doing something about breast cancer. It’s about raising the knowledge in many different areas and fields,” she said. Knaul, a breast cancer survivor herself, discussed how the poor face a double burden: communicable diseases and non-communicable diseases. She said that low and middle-income countries account for more than 90 percent of cervical cancer deaths because women in these countries often do not have access to health coverage. “All people should be able to obtain the needed health services without risking economic hardship or impoverishment,” she said. 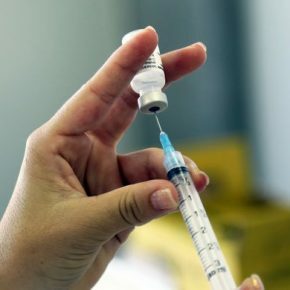 Studies show that poorer states in Mexico, such as Puebla or Oaxaca, have a higher mortality rate in connection with cervical cancer and breast cancer than wealthier states, such as Distrito Federal and Nuevo Leon. 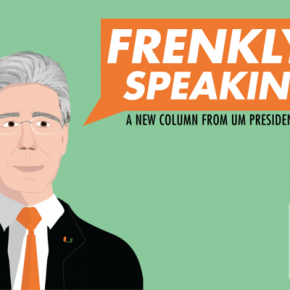 In an effort to improve health reform, Dr. Julio Frenk, UM President and Mexico’s former Minister of Health, introduced the Seguro Popular, a program for universal health coverage. This expanded access to health insurance for millions of uninsured Mexicans. However, Knaul noted that this health reform did not include access to morphine. Knaul believes universal access to morphine is essential for a universal healthcare system. “[Doctors] were able to say, ‘We’ll ship her to Guadalajara, we’ll send her somewhere else, but we can’t offer her the basics of human dignity because this is not included in our health system,’” she said about one of her patients undergoing chemotherapy. As a result, Knaul started a global commission on the inequitable distribution of morphine. She has made it her mission to “alleviate avoidable pain and suffering in the world.” She hopes for a report from the commission within the next year. Knaul also discussed the survivorship challenges for women after cancer. This includes changes in body image perception, fear or uncertainty surrounding fertility and employment discrimination. “If they are women, they live this discrimination because they’re women,” she said. 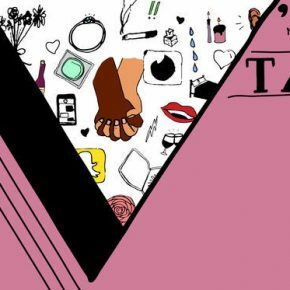 The existence of gender inequality in the workforce is only aggravated by the addition of cancer and makes women undesirable to some employers, according to Knaul. To fight this, she would like to integrate survivorship care into the universal health system. With tears in her eyes, Knaul told her own story of survivorship to the audience. She said that overcoming cancer has turned her into an optimist as well as an “optimalist,” one who hopes for the best but embraces life’s challenges and failures. The enormity and vastness of her mission to improve financial systems and alleviate women’s suffering has not deterred her. “I don’t accept that you can’t do anything because you can’t do everything,” she said. Robert Johnson, a professor of sociology and a medical sociologist in the College of Arts and Sciences, described how the school would be working closely with the College of Arts and Sciences to continue Knaul’s research on policy development. She will catalyze research connections with Latin America and the Caribbean. “She will be a very beneficial force in driving interdisciplinary studies in terms of the recognition it will now receive on campus,” he said. Knaul will be giving a presentation about her co-authored Lancet Commission Report on Women and Health on Friday, Oct. 2, in the SCC.